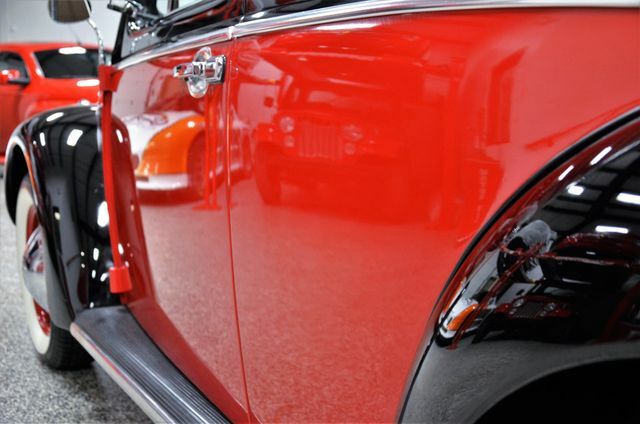 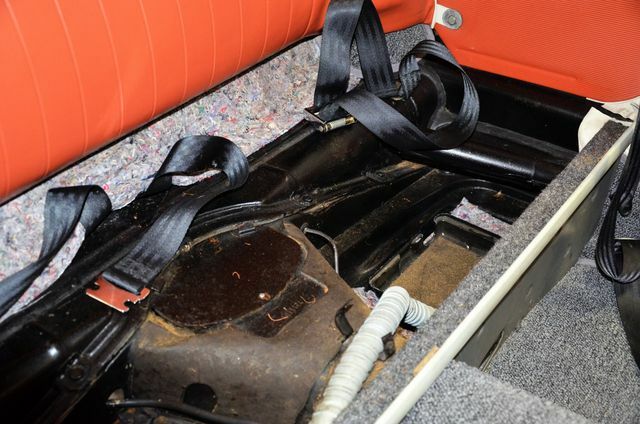 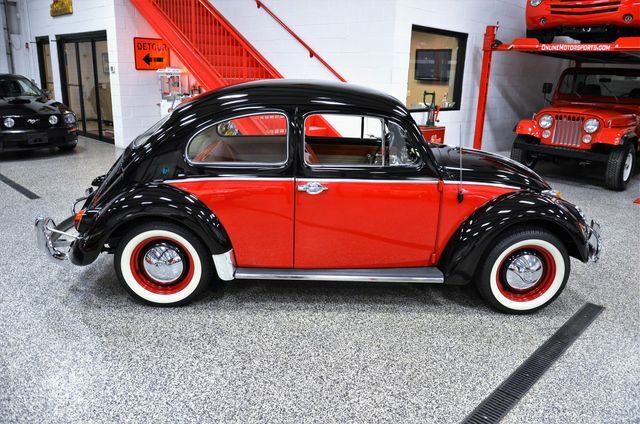 When Jada Toys needed motivation for a classic Beetle "Old Skool" car the hunt was over once this Red and Black Beauty was discovered. 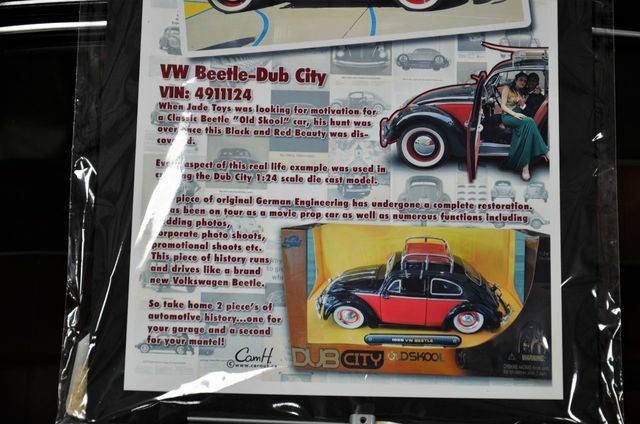 Every aspect of this real life example was used in creating the Dub City 1:24 Scale Die Cast Model. 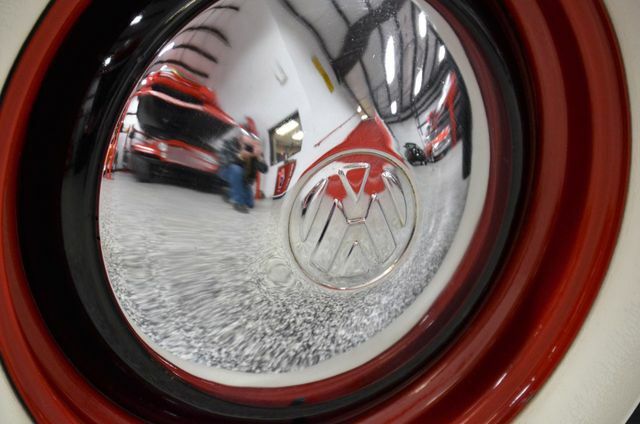 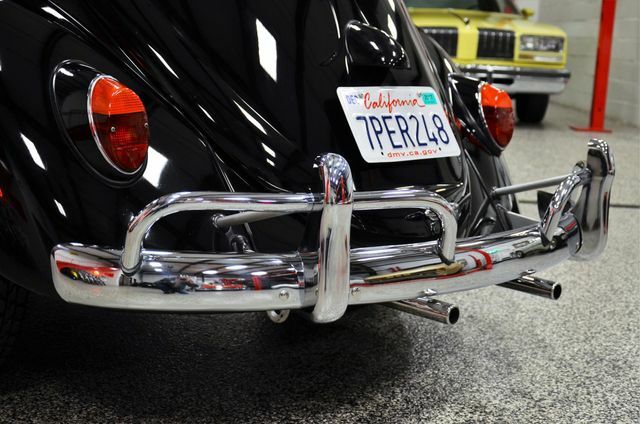 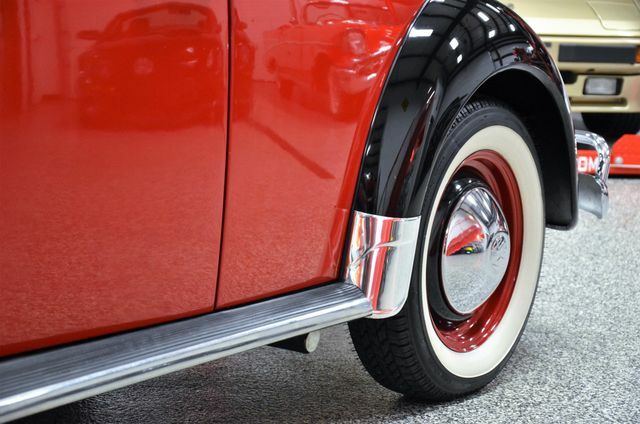 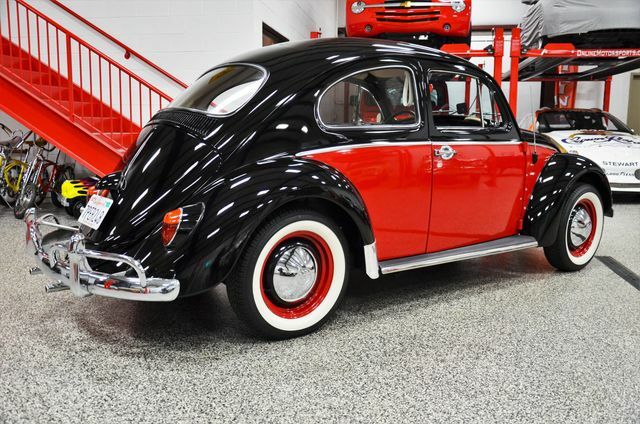 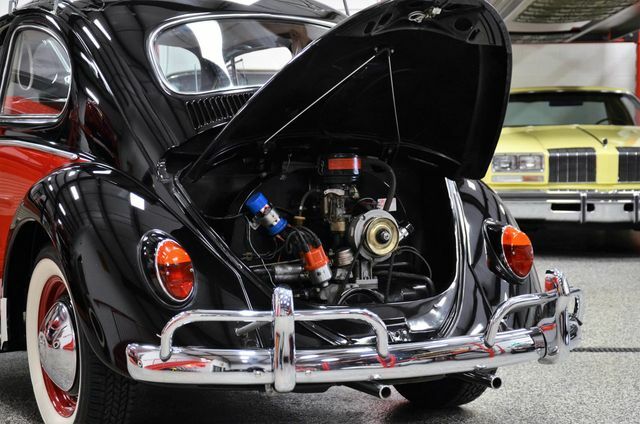 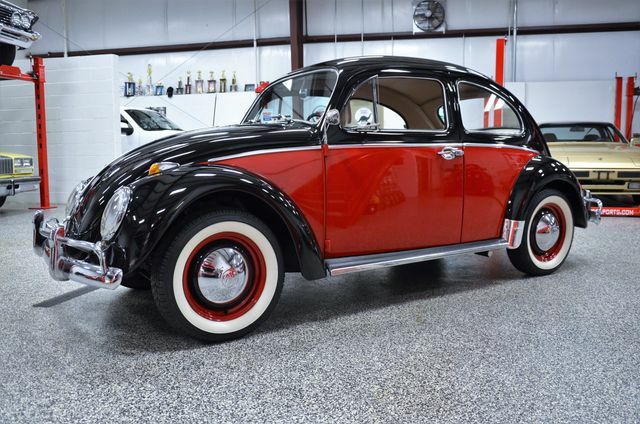 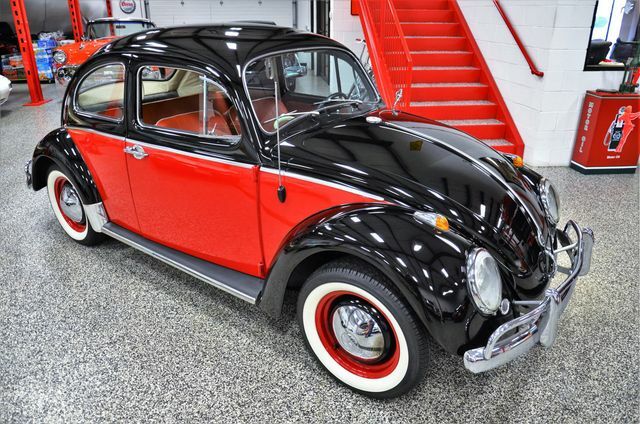 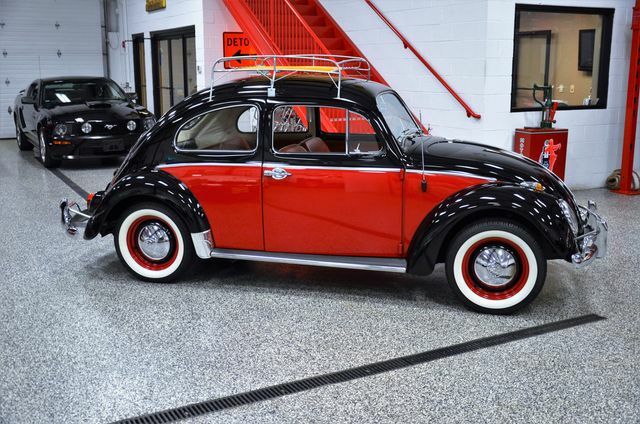 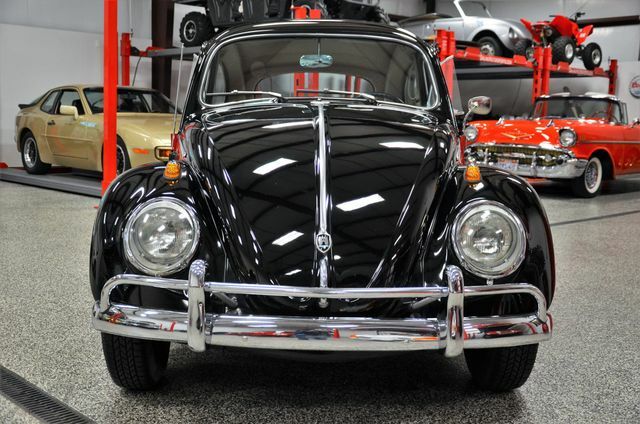 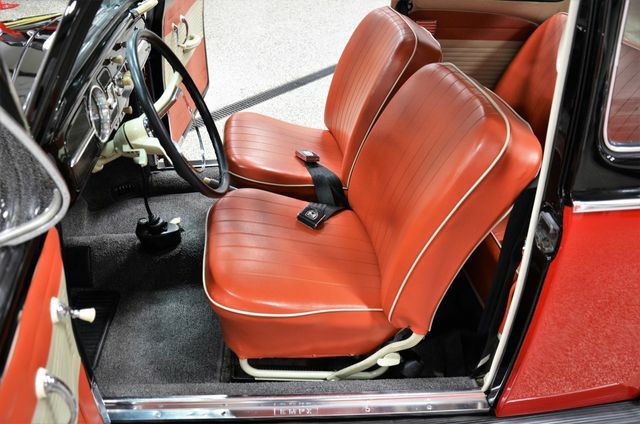 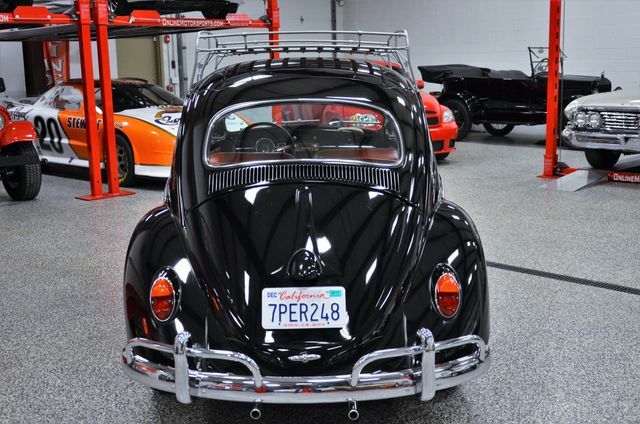 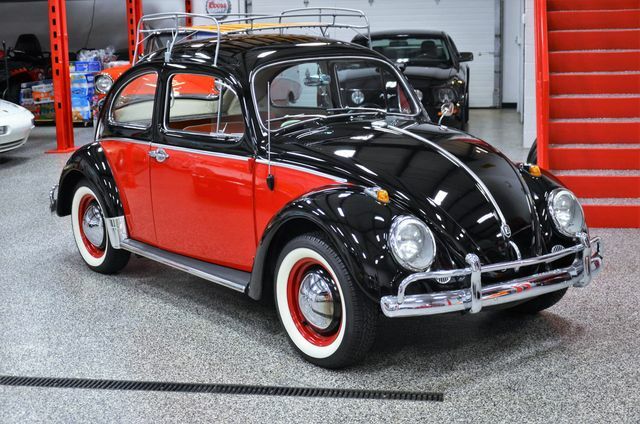 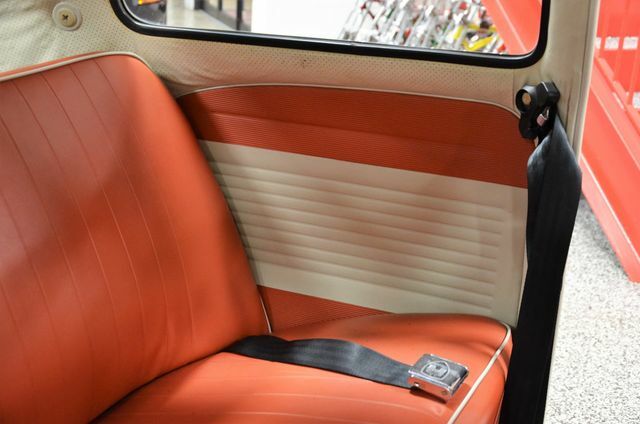 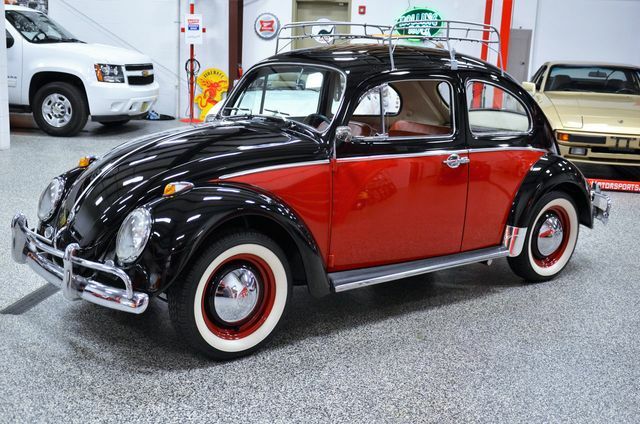 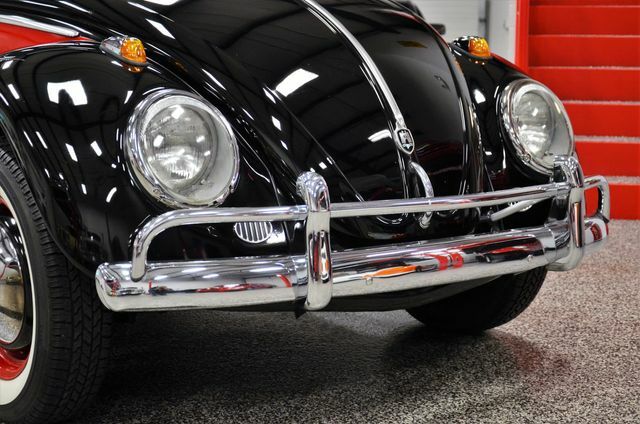 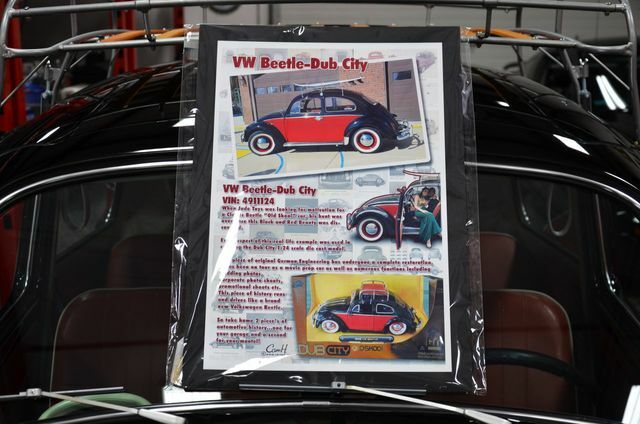 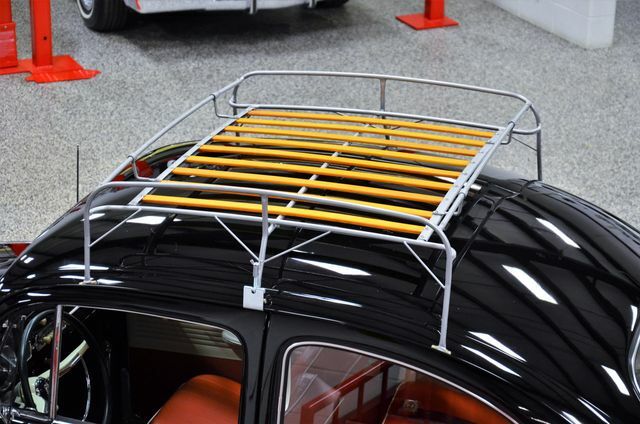 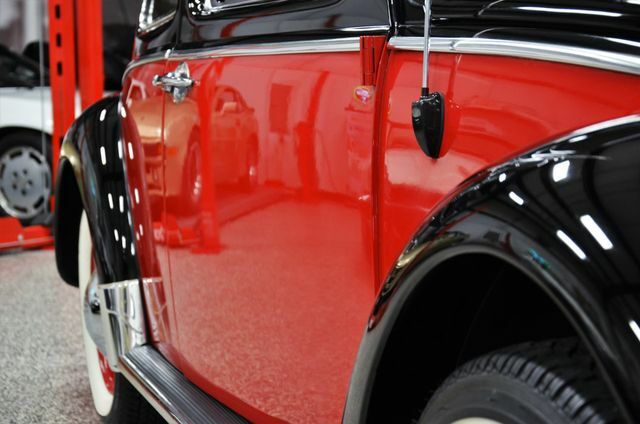 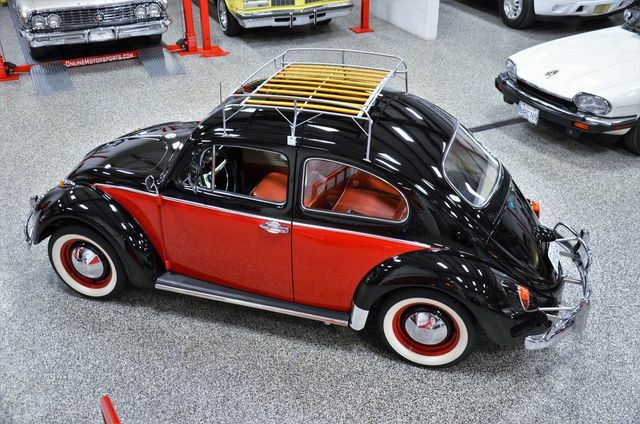 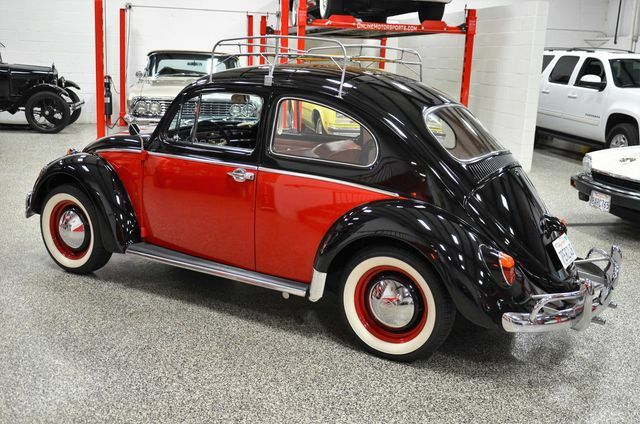 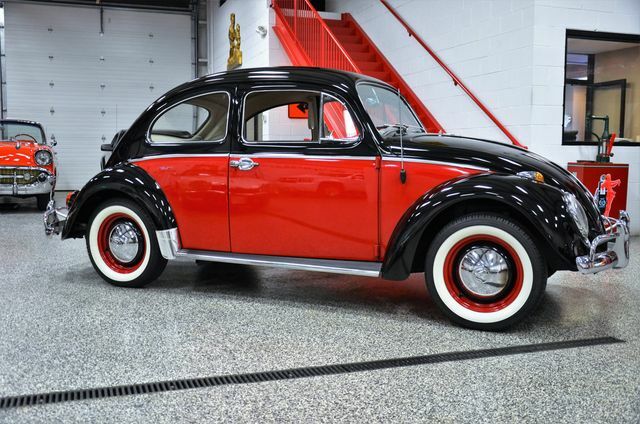 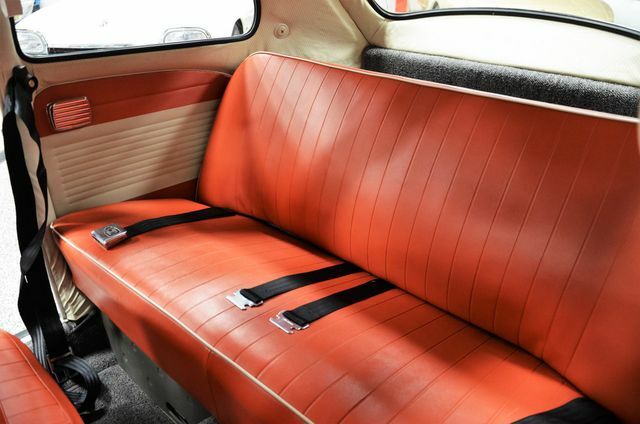 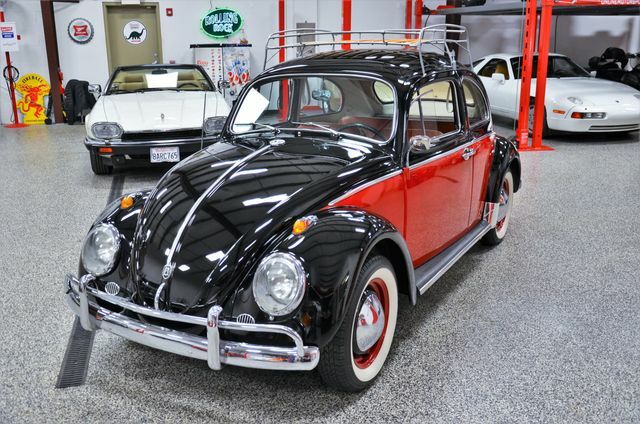 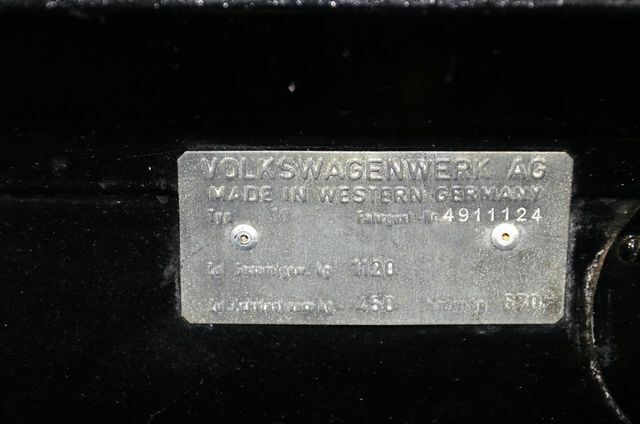 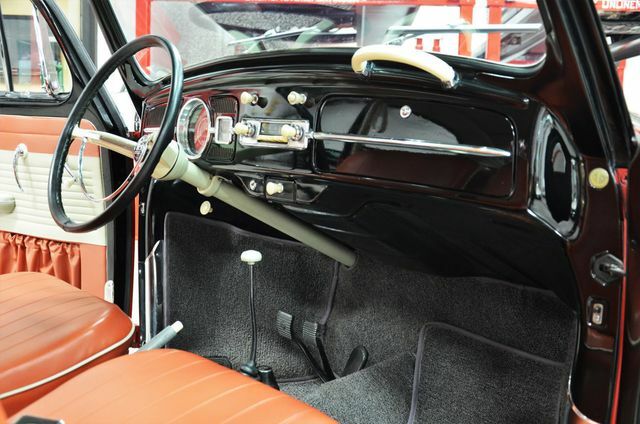 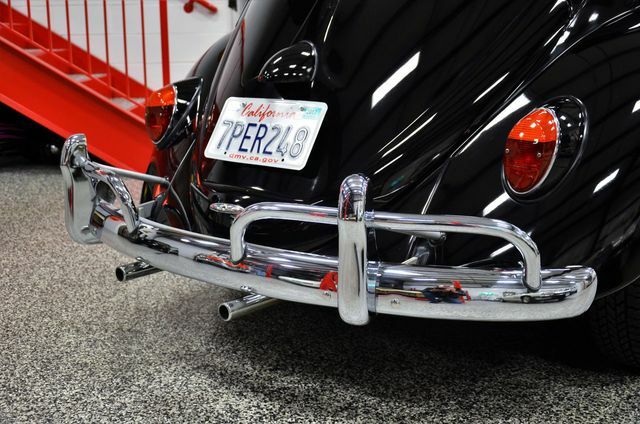 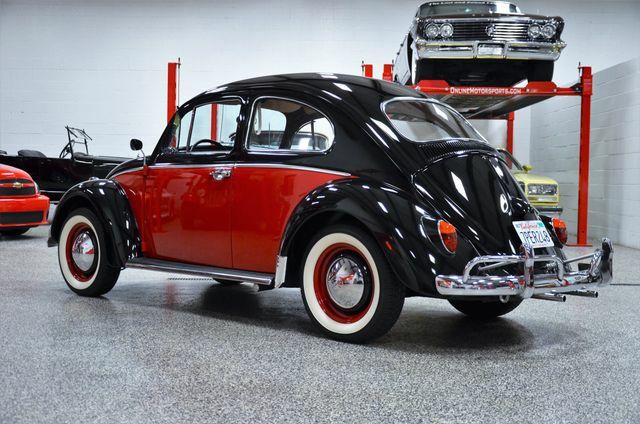 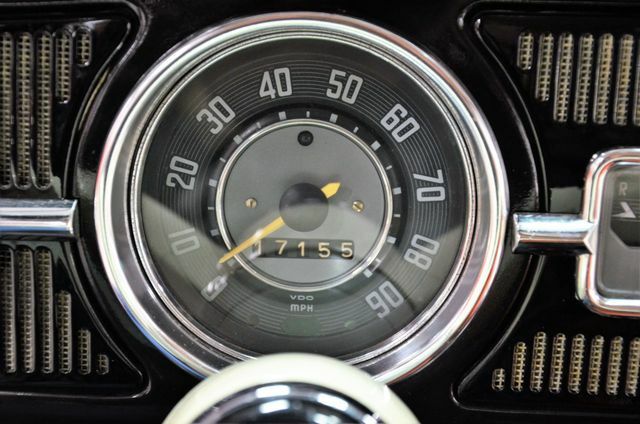 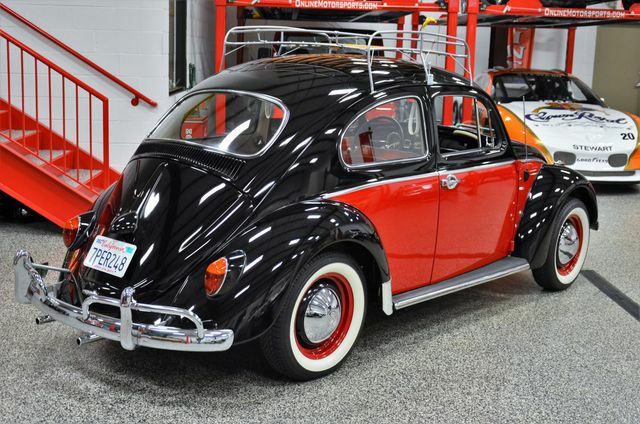 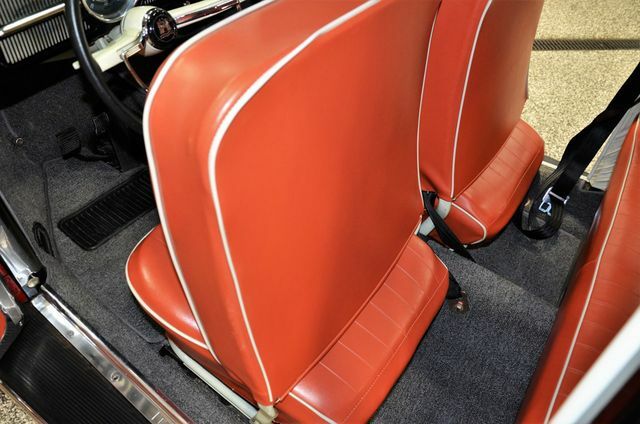 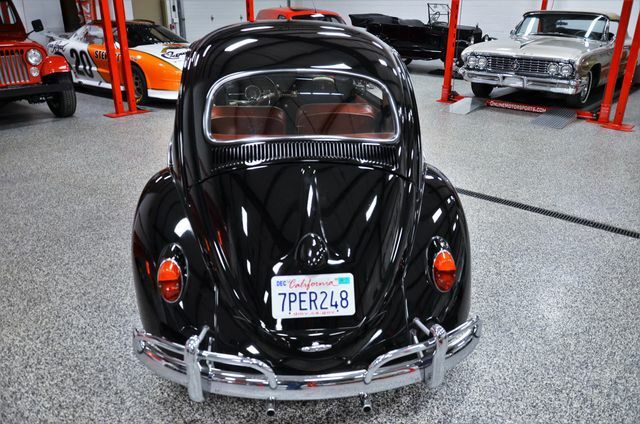 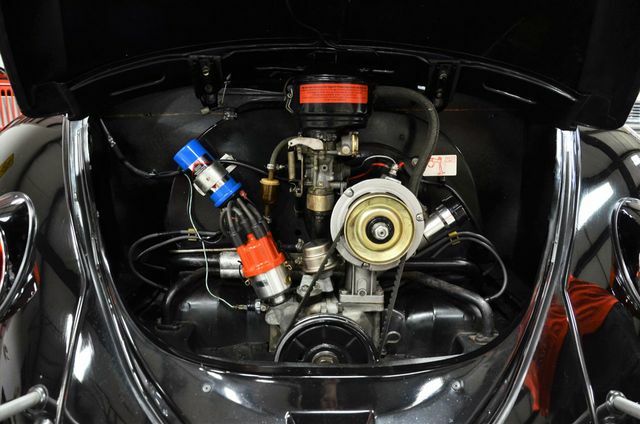 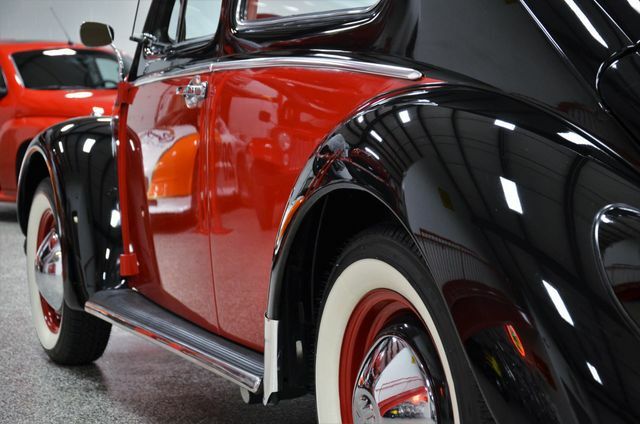 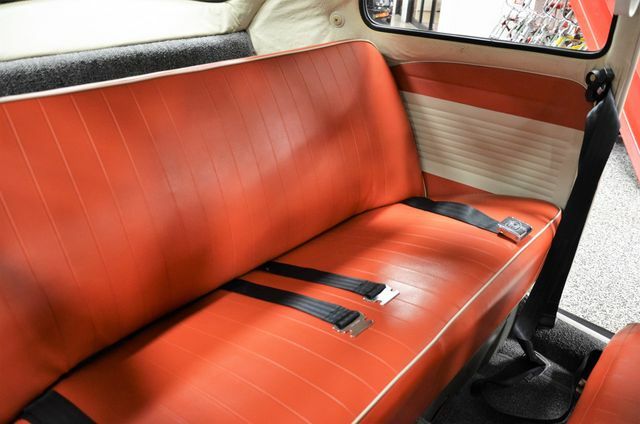 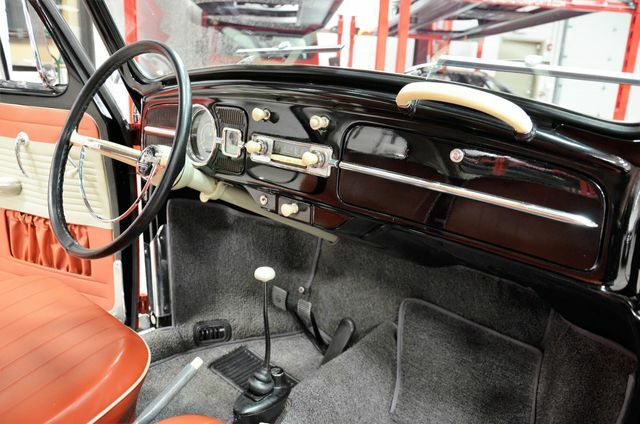 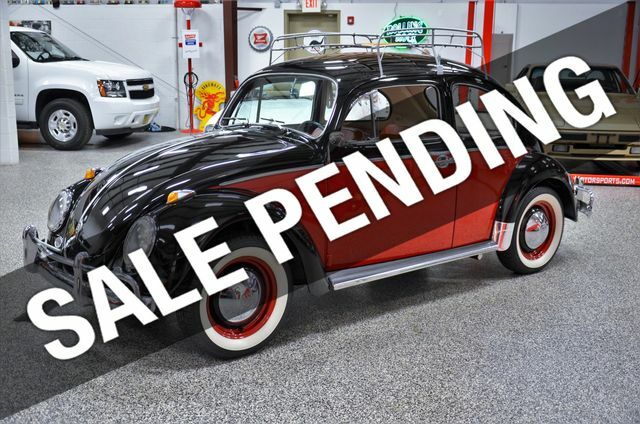 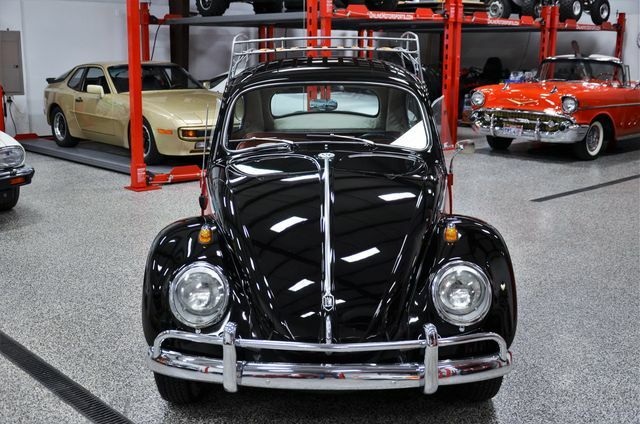 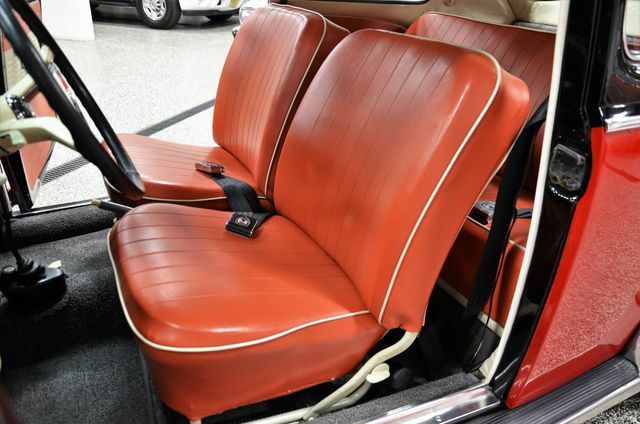 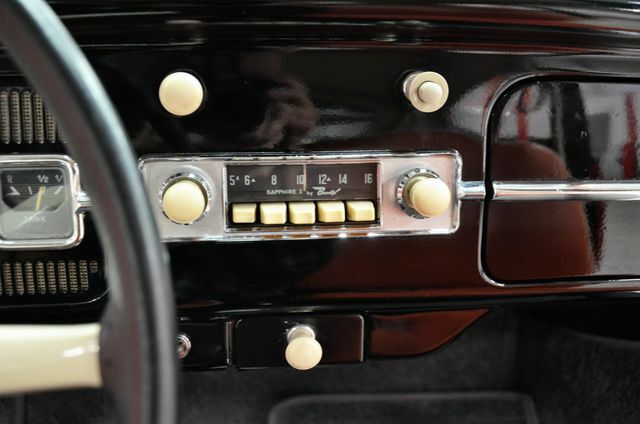 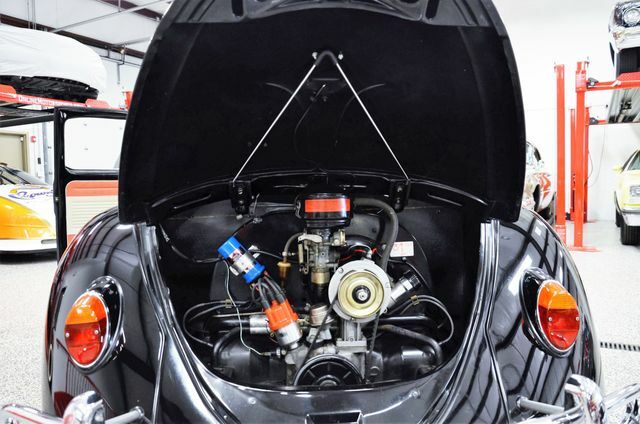 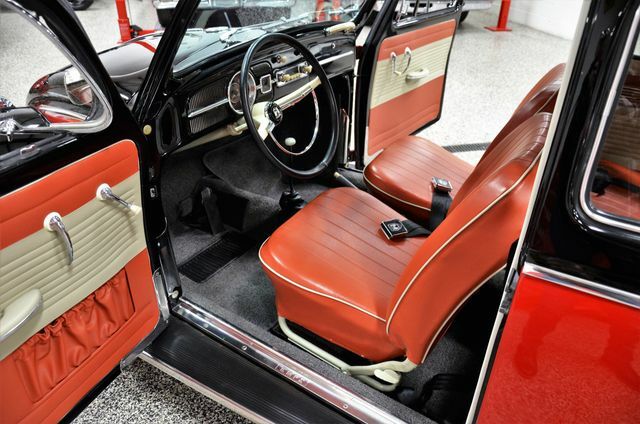 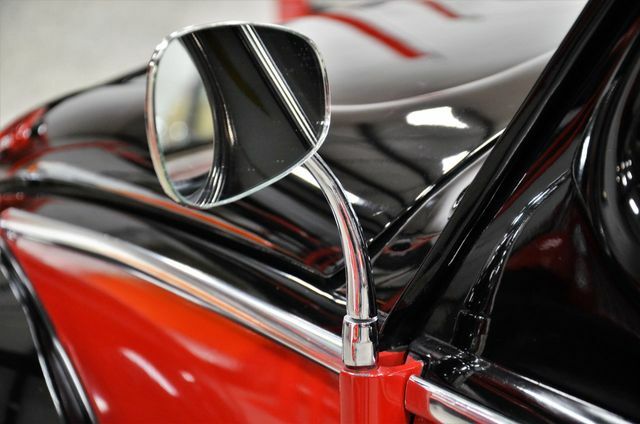 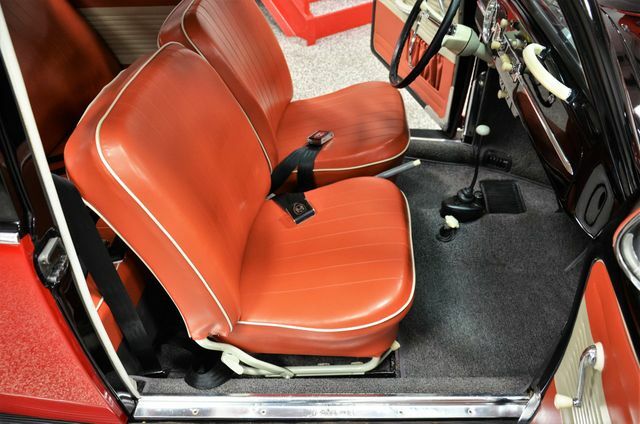 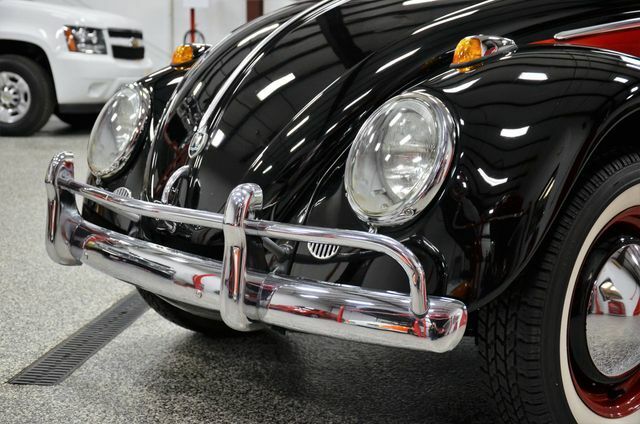 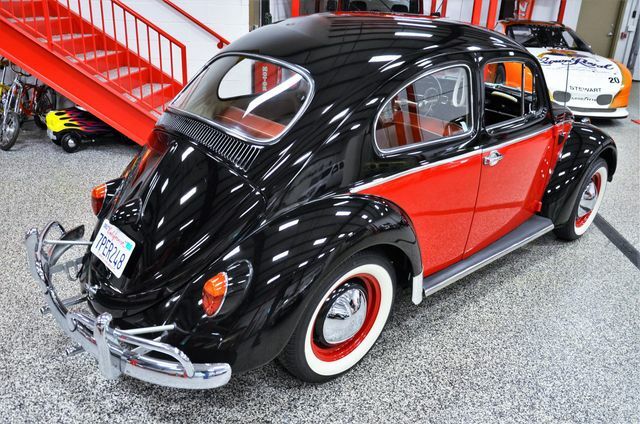 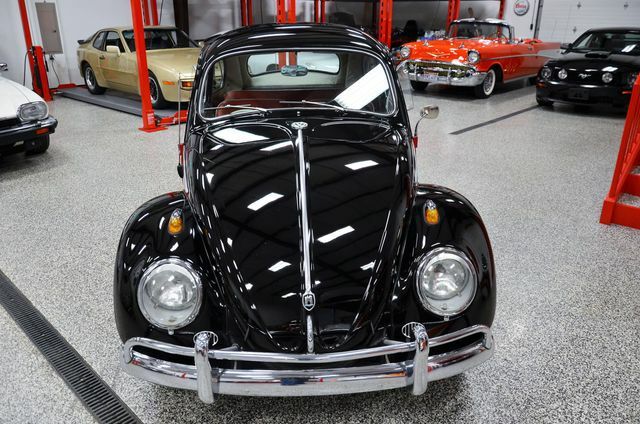 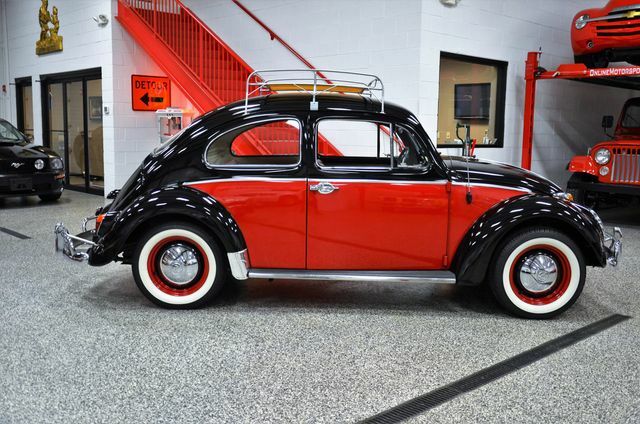 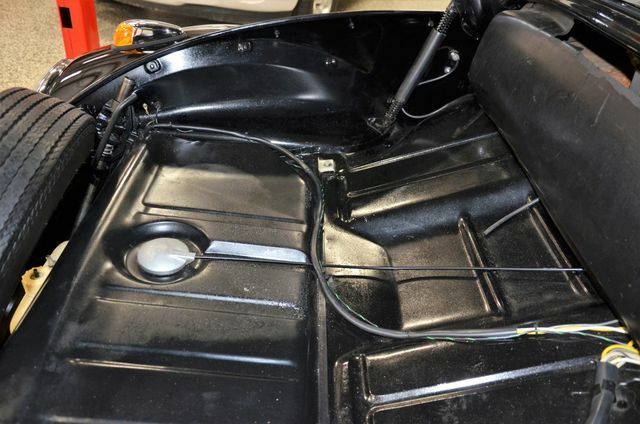 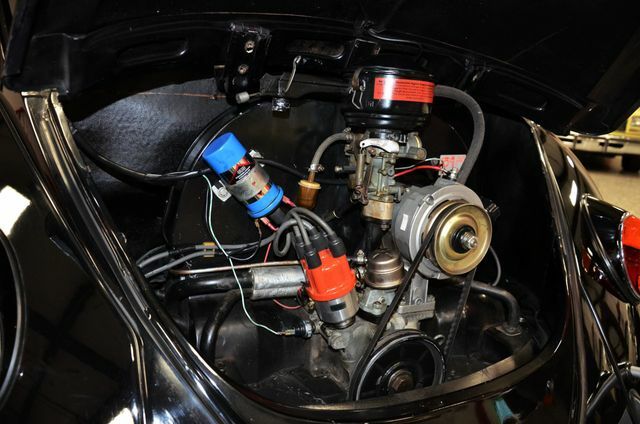 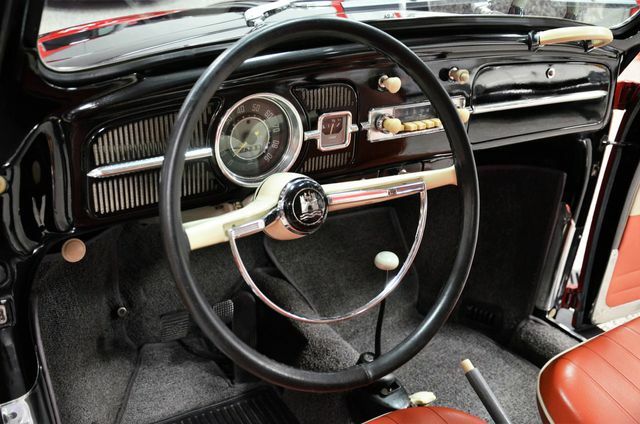 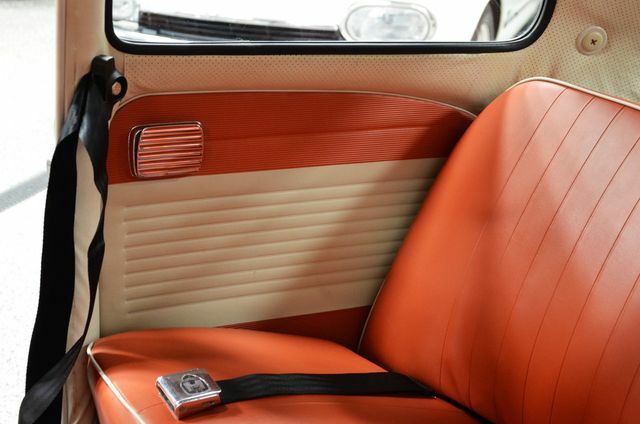 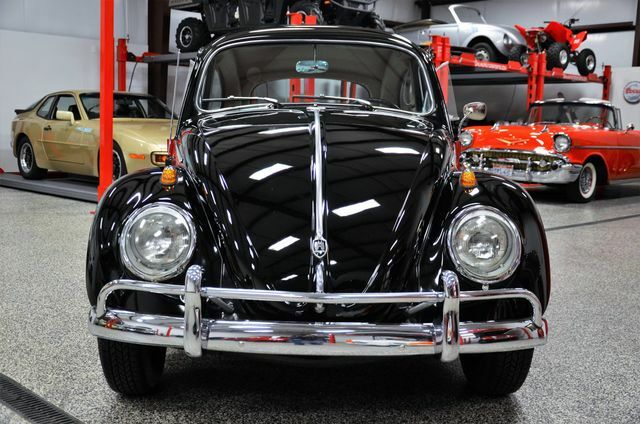 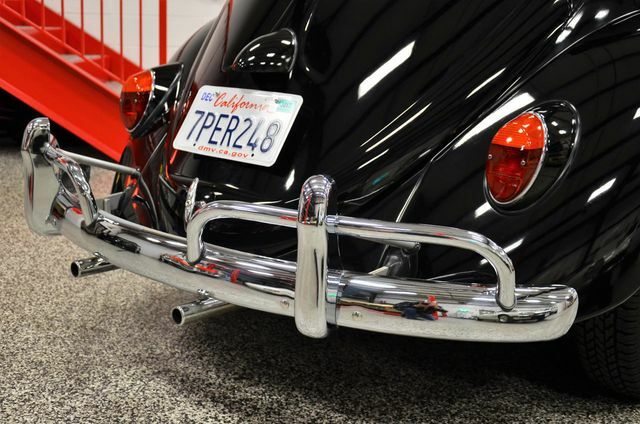 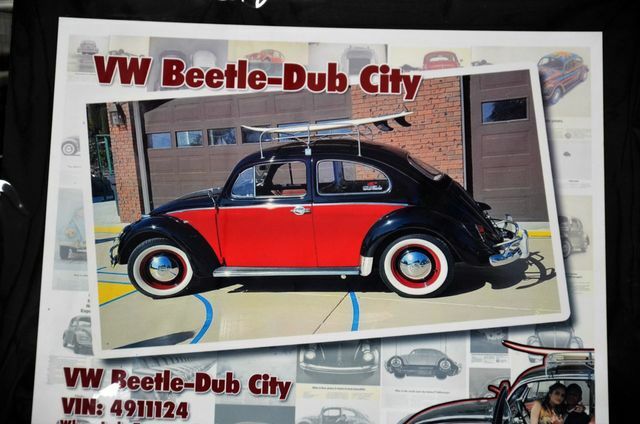 This 1963 Volkswagen Beetle underwent a complete restoration approximately five years ago that included a repaint in two-tone black and red. 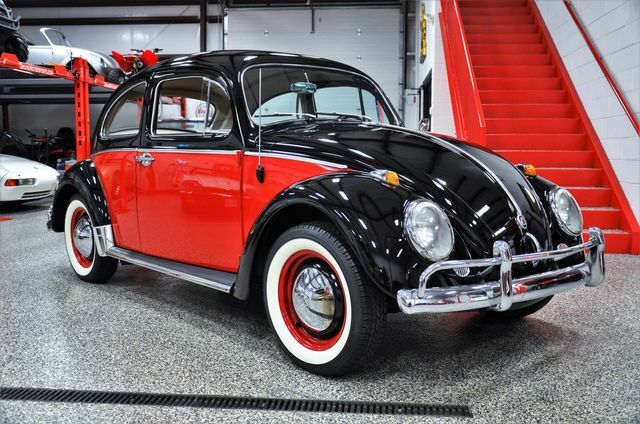 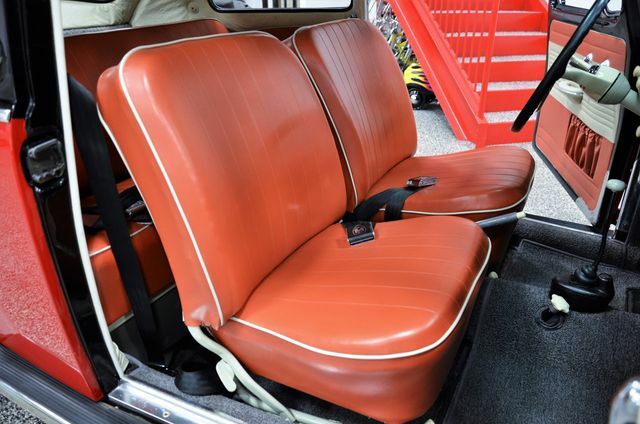 It has been used as a movie prop car for event purposes over the years, including various weddings and photo shoots. 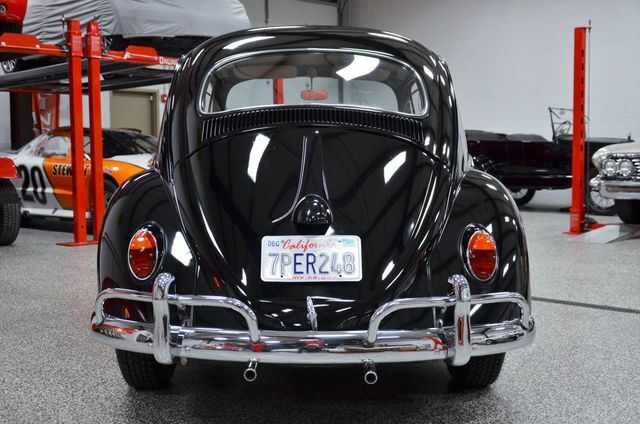 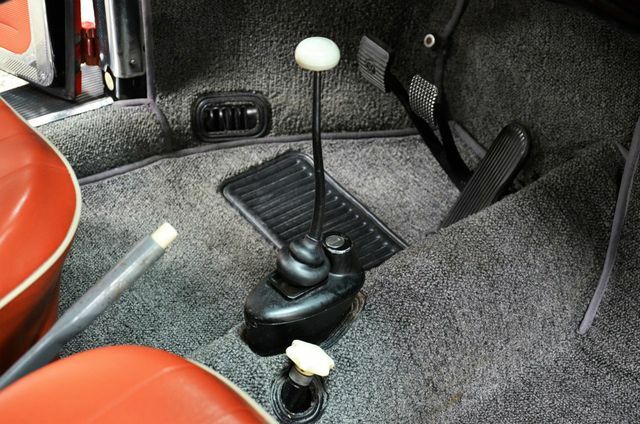 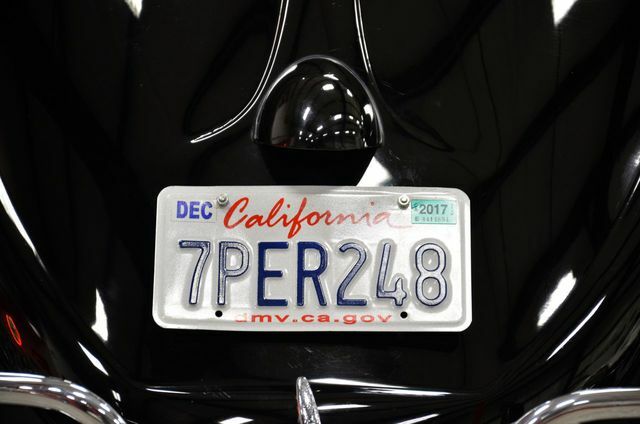 Power comes from a 1200cc flat-four paired to a four-speed manual gearbox, and it comes fitted with a set of whitewall tires, chrome overrider bumpers, and a roof rack and is now being offered with a matching 1:24 model, and a clear California title. 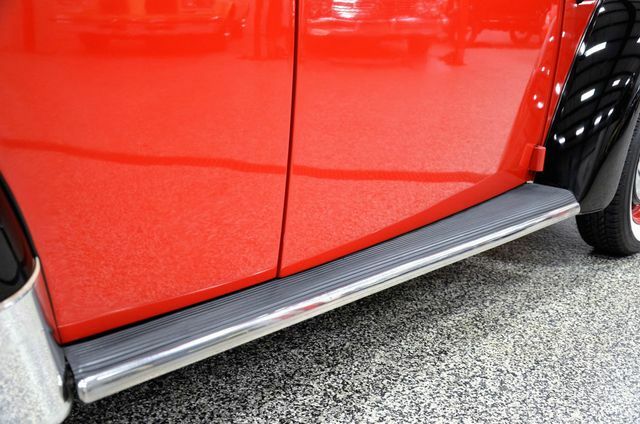 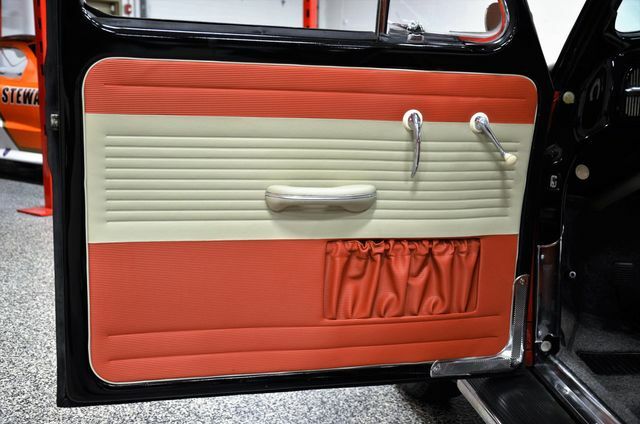 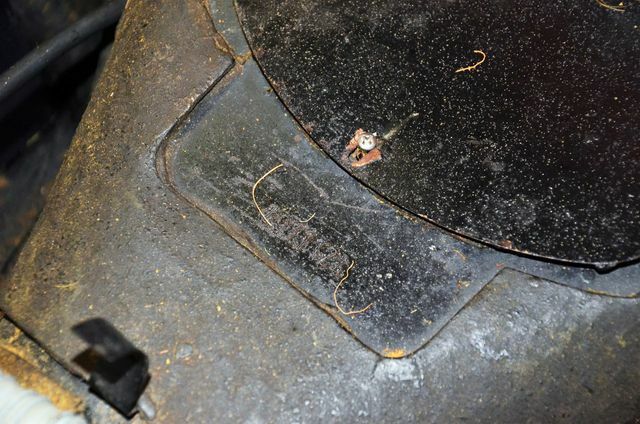 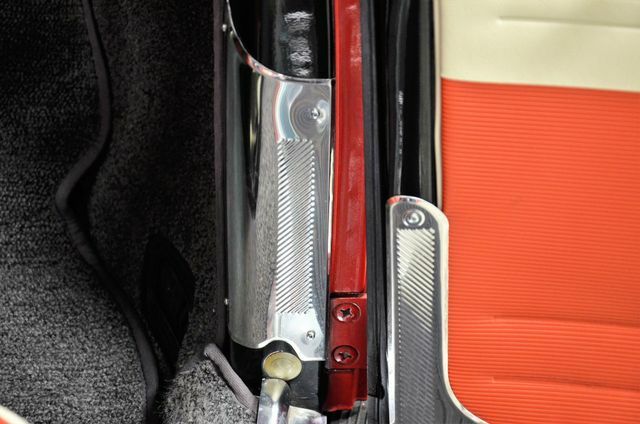 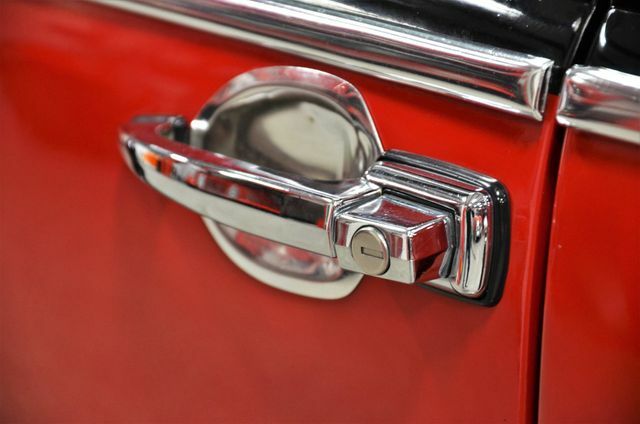 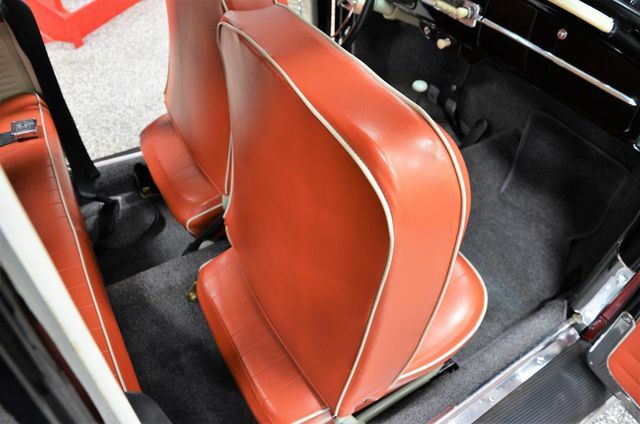 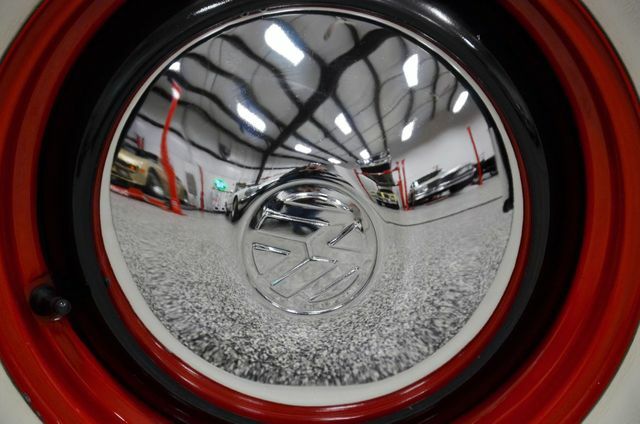 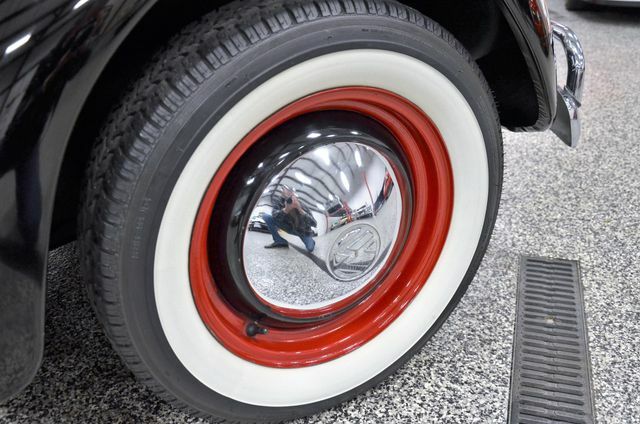 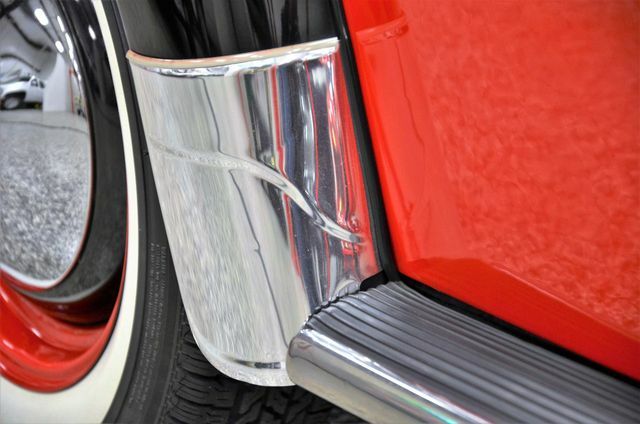 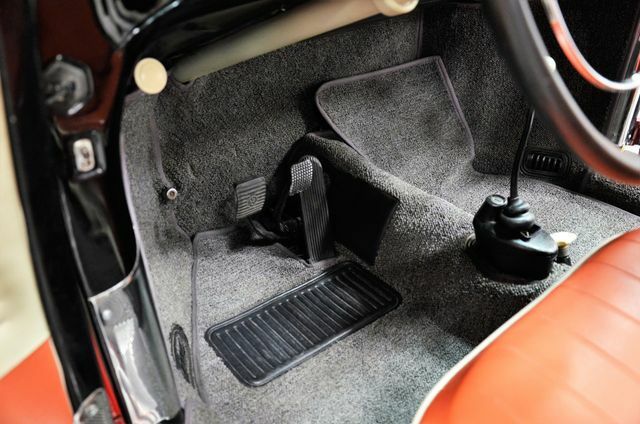 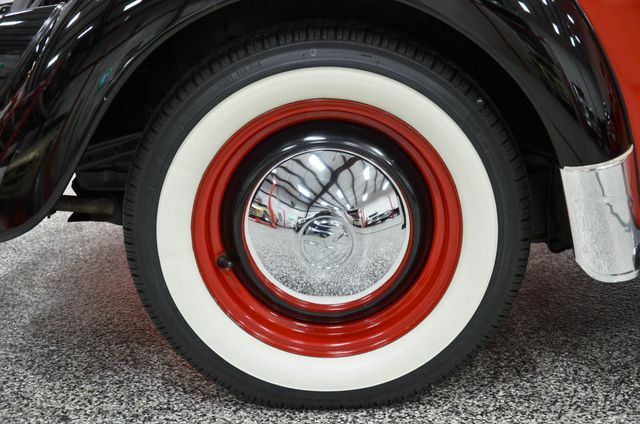 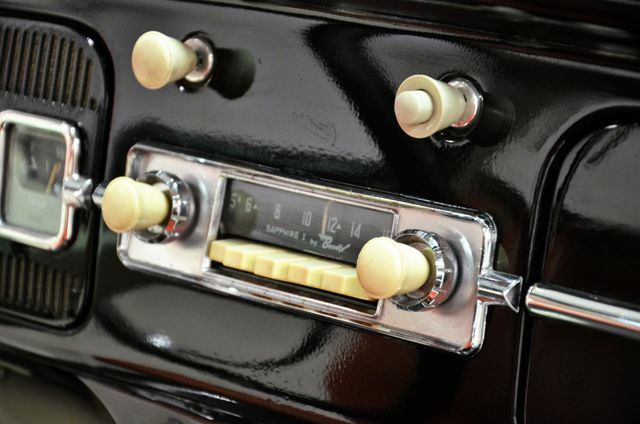 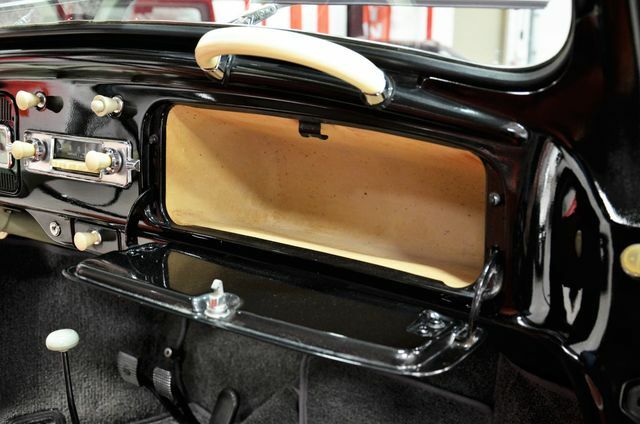 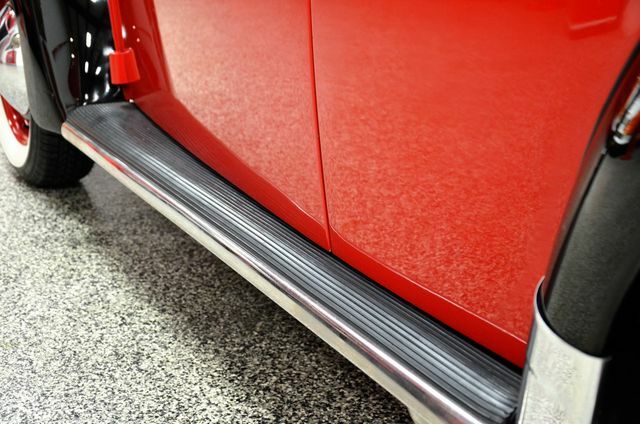 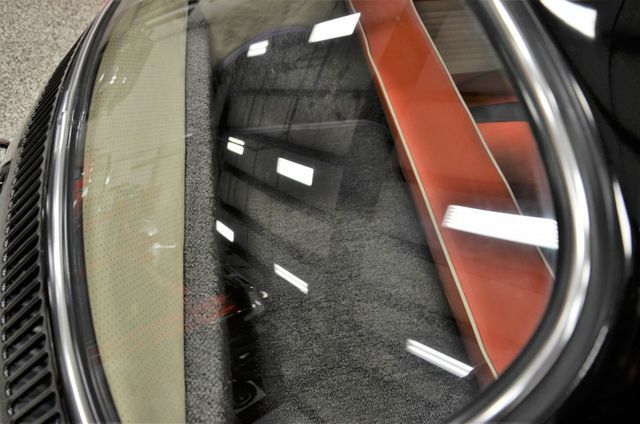 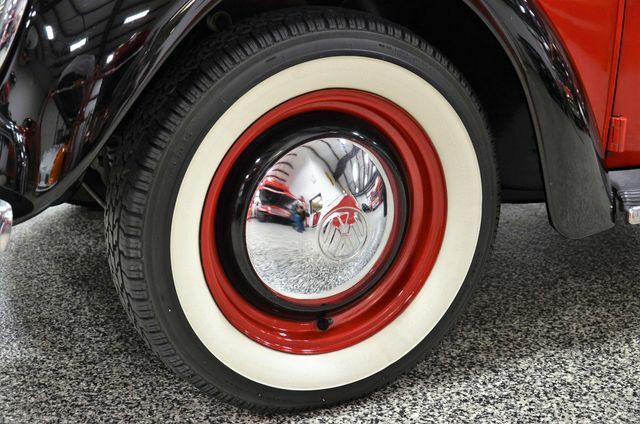 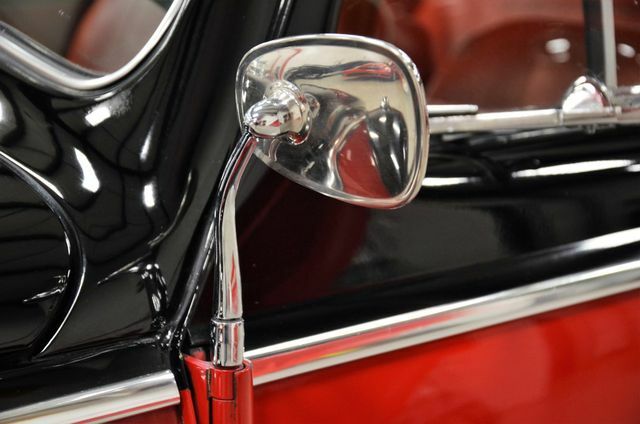 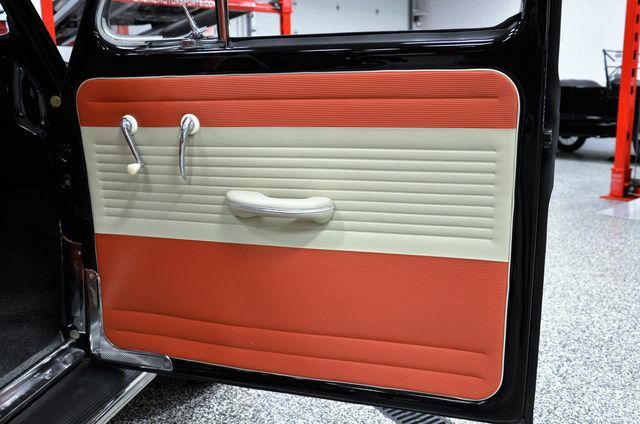 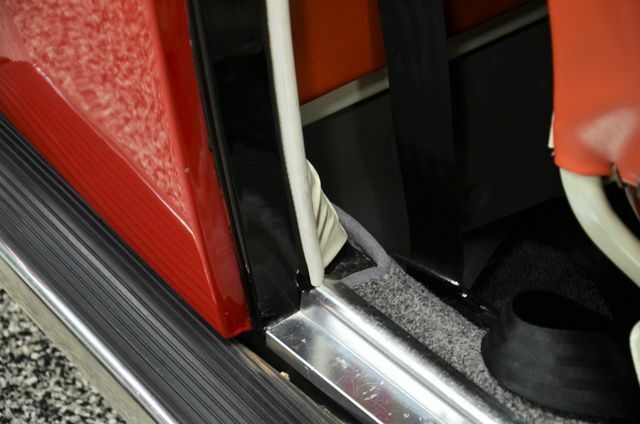 The custom finish two-tone finish incorporates red side panels and has been carried on to the steel wheels, which have been fitted polished covers and period whitewall rubber. 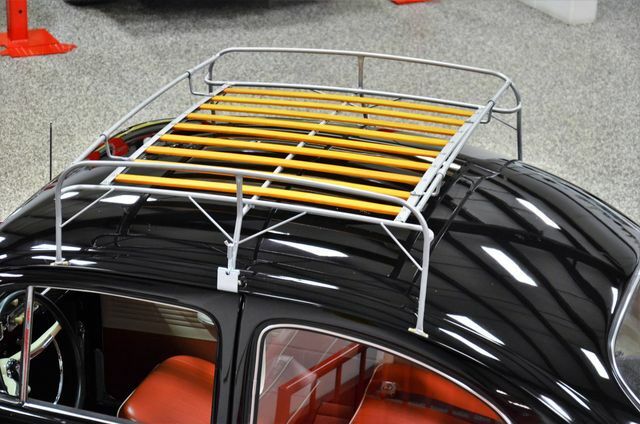 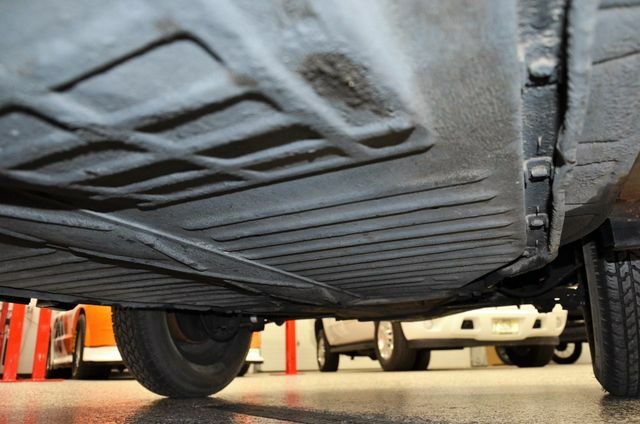 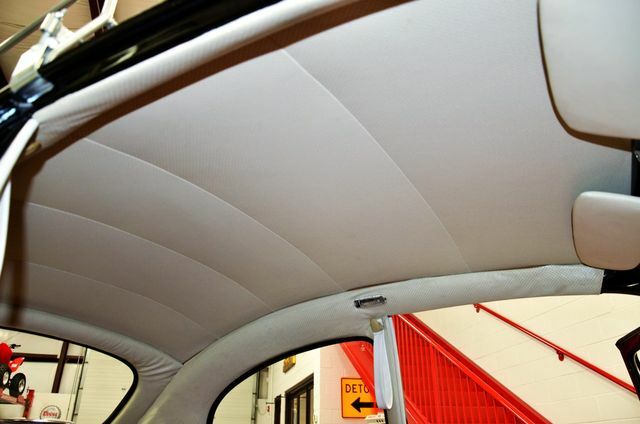 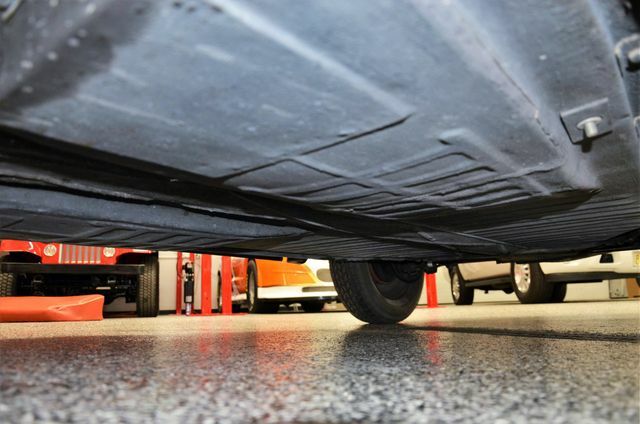 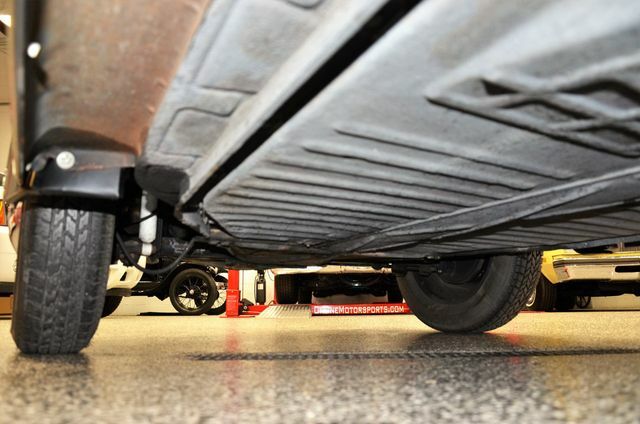 Chrome bumpers with overriders have been installed, and a metal and wood roof rack is included with the sale. 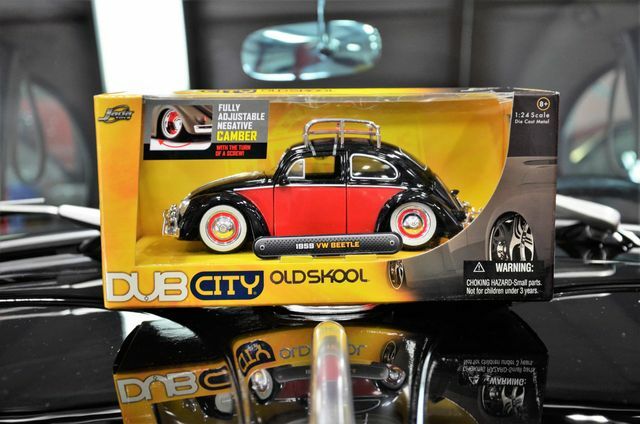 Jade Toys used the car for inspiration in their DUB Oldskool 1:24 scale models. 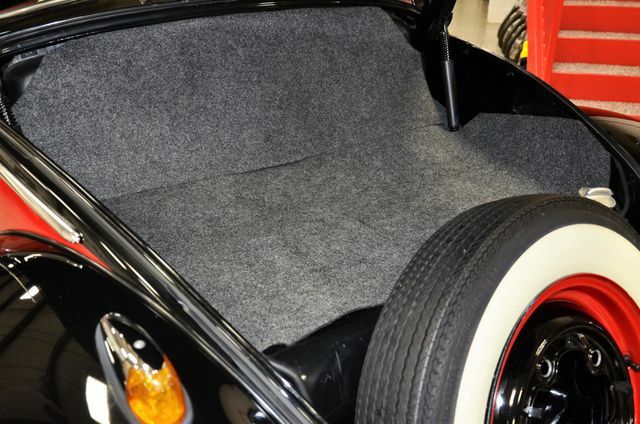 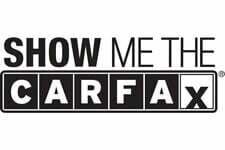 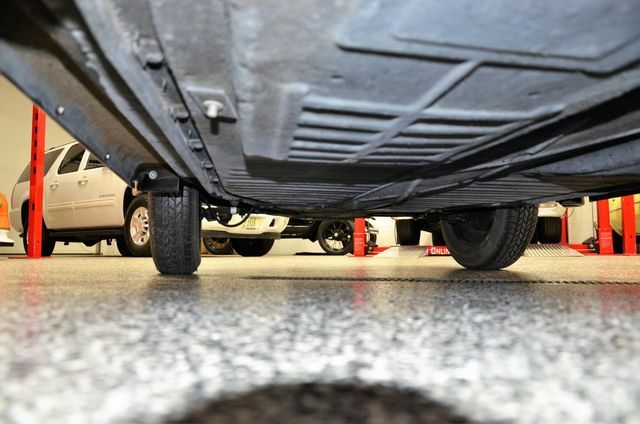 If you require additional information please feel free to contact Dave at 630-327-8321.If you require shipping assistance we can get your new ride delivered to your front door. 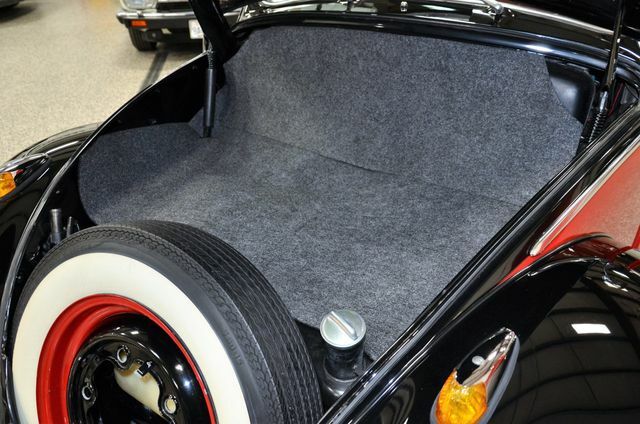 Call Dave today for no charge assistance.